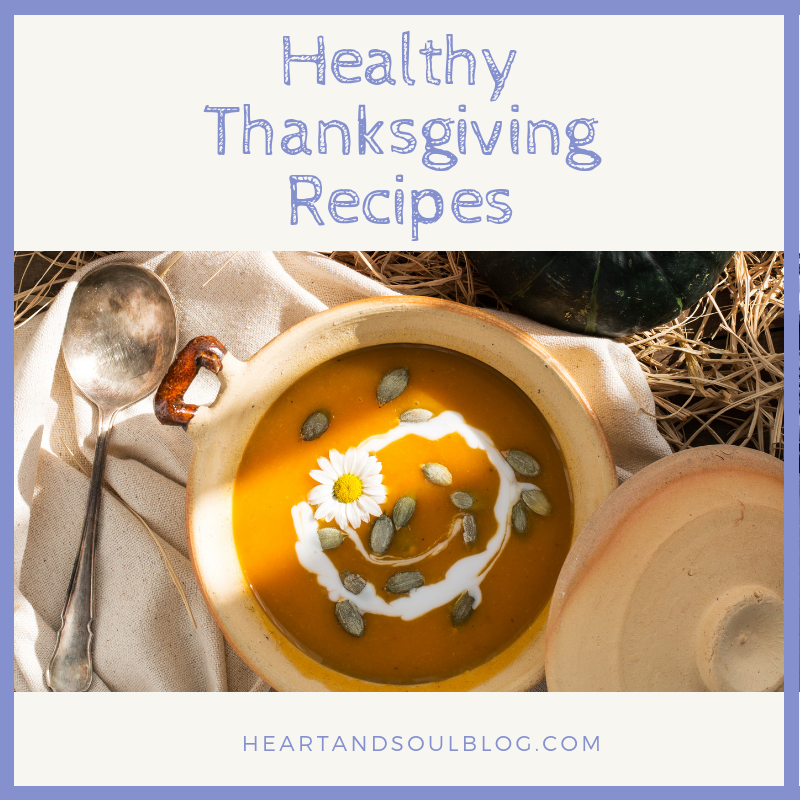 Thanksgiving is this week, but there is still time to add some healthy Thanksgiving recipes to your menu! Here are seven simple sides to serve along with your turkey on Thursday. Before I get into the yummy recipes, I wanted to share a few of my best tips for eating healthfully during holidays such as Thanksgiving. Make veggies half your plate. Even if they are prepared with a lot of fat or sodium, vegetables are still nutrient-dense and provide needed fiber and vitamins. Don’t eat the things you don’t love. If you have a pushy loved one (*ahem*), either say “no thank you,” or just take one small bite of the pressured food. Don’t waste belly space on things you won’t even enjoy! Moderation, not elimination. Stick to one roll or one slice of your favorite pie instead of trying to avoid them altogether. Or forget all the rules and enjoy a big splurge. One day doesn’t overshadow all the healthy food you eat normally, and holidays are stressful enough without too many added rules. Roasted Butternut Squash and Brussels Sprouts with Pomegranate. Pack a big seasonal punch with this delicious medley. It’s a wonderful combo of sweet and savory! Clean Eating Green Bean Casserole. This lightened-up version of the down-home favorite has all the creamy goodness of the original. Sweet Potato & Cauliflower Mash. This dish doesn’t taste like traditional mashed potatoes, but it is delicious in its own right! Roasted Sweet Potato and Wild Rice Salad. The unexpected combo of flavors in this salad is just what your table is missing! Pecan Pie Twice Baked Sweet Potatoes. Ok, so maybe you can’t totally replace dessert with these little babies, but you almost can! They are sweet and totally hit the spot. Homemade Cranberry Sauce. Skip the can (though I’m always nostalgic for those lines on the can-shaped sauce, ha!). This recipe is simple and sweetener-free! Roasted Garlic with Mushrooms and Thyme. These are DELICIOUS. They are also great to serve if you have any vegetarians at your table. 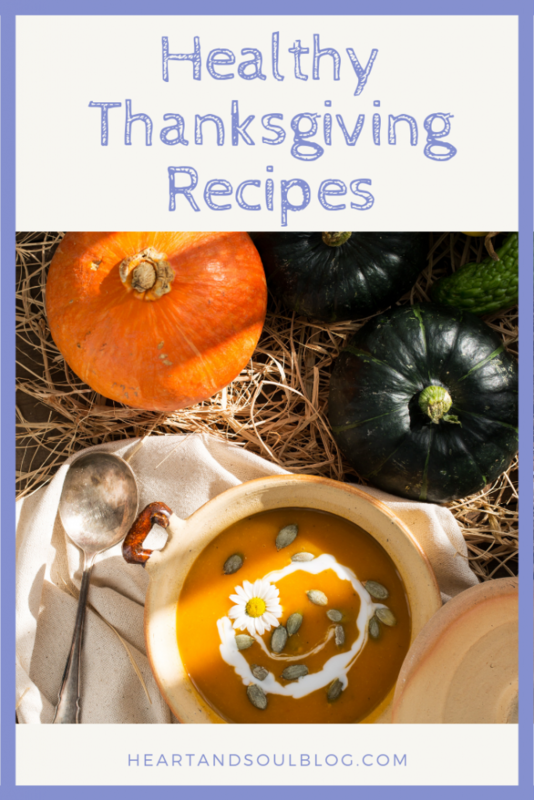 See even more great healthy Thanksgiving recipes on our Pinterest board!